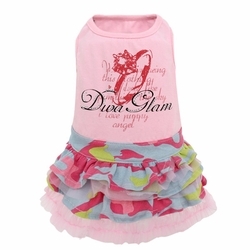 Wow is the word for this adorable Puppy Angel 4 Layer Vintage Dress. Made to be anything but dull the body is covered in script-style words with a huge diamond ring. 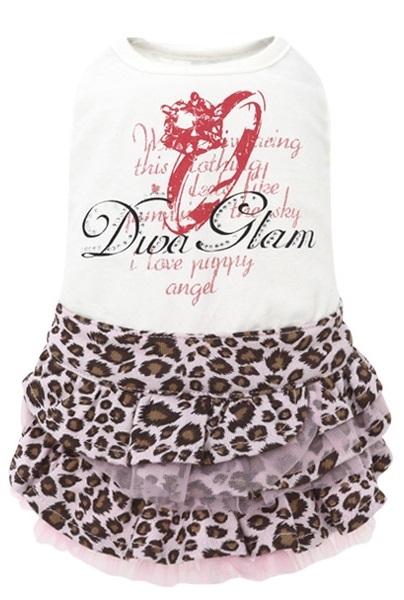 The words Diva Glam are trimmed in crystals while the flamboyant skirts are lined with mesh.